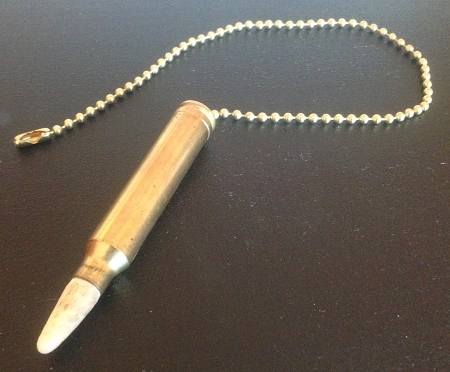 Antler Tip Bullet 300 win mag spent brass round lamp or fan pull chain. Comes with 10" of beaded brass chain and connector. We make each by hand using spent brass that we clean inside and out removing all gun powder etc. completetly harmless. Each will vary slightly as the tips are all different we fit each tip individually to each round. There will be mixed headstamps on the brass as well.